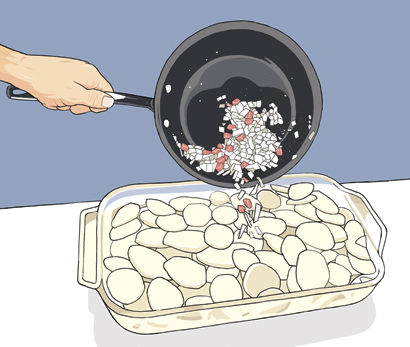 Oxford University Press asked me to create another set of small, simple illustrations for Switch, a lively, colourful book called aimed at 12-16 year old English language students in Spain. 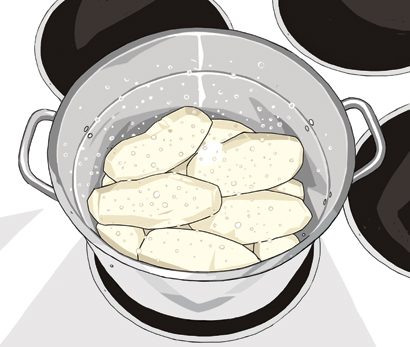 The images show different stages of preparing a potato bake. 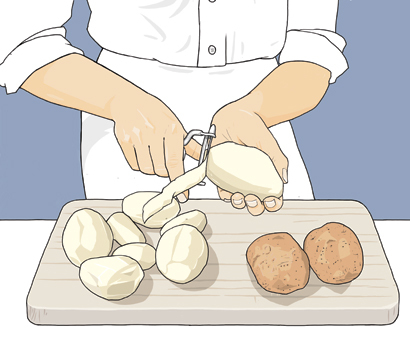 Slice the boiled potatoes into rounds with a sharp knife. 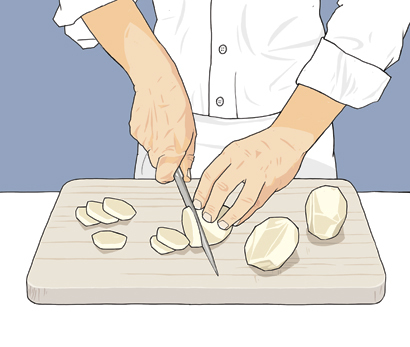 Chop an onion into small pieces. 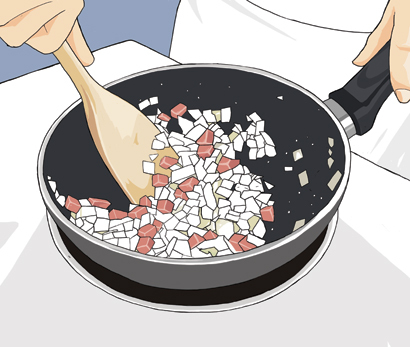 Fry the slices of onion in oil with some bacon cubes. 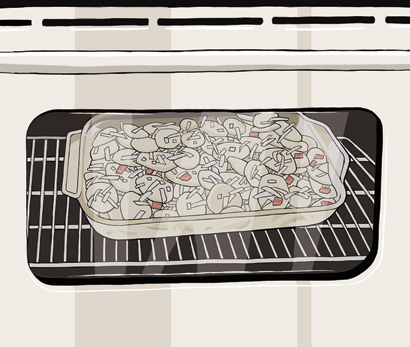 Arrange the slices of potato in a baking dish as if to make gratin. 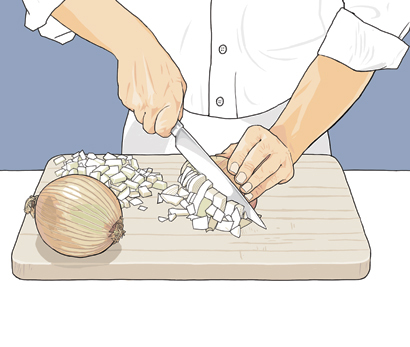 Tip the fried onion and bacon into the dish.